Take in the outdoor movie experience at the ESS Lounge every Thursday and Friday. Tonight catch the Drew Barrymore film, 50 First Dates at 7pm, followed by The Amazing Spiderman at 9pm. Enjoy the movies with one drink and unlimited popcorn for Dh60 at Shangri-La, Qaryat Al Beri. 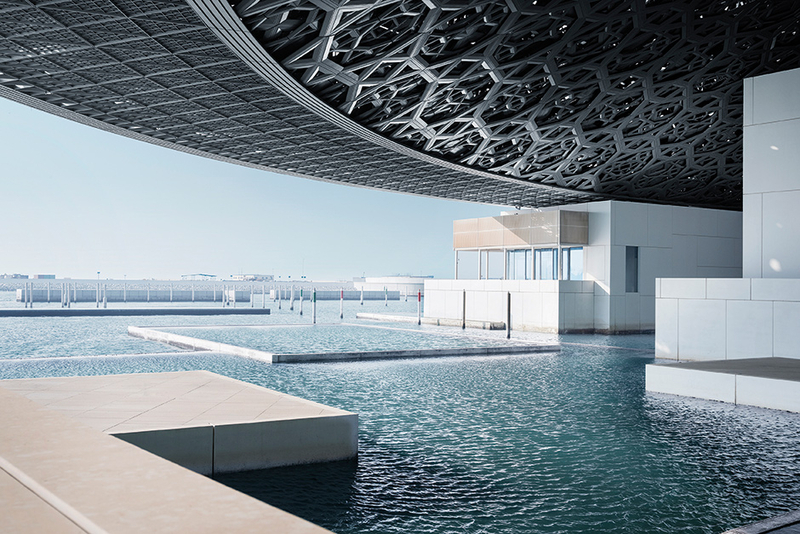 Check out the Soundwalk Collective: Mirage Live Performance, linked to the Roads of Arabia: Archaeological Treasures of Saudi Arabia Exhibition at 5pm today at the Auditorium Plaza stairs at Louvre Abu Dhabi. Stephan Crasneanscki and Simone Merli of Soundwalk Collective, the New York and Berlin-based art collective, perform. Louvre admission ticket is Dh60. Catch the Bollywood music composers as they perform at tonight’s Valentine’s Day concert, Ishq Wala Love. The award-winning duo will headline a gig at The Arena, Dubai World Trade Centre. Gates open at 8.30pm and show starts at 9.30pm. Age limit of 21 and up. Opening acts by Fahmil Khan, Abhay Jodhpurkar and Sowmya Krishnamachari. After Party With DJ Scorpio Faisal Khaku. Tickets from Dh150. Do you know who is who in the world of Harry Potter? If yes, then head to Kinokuniya Bookstore at The Dubai Mall from 7pm for fun, cosplay, trivia and prizes. Dress in your Harry Potter costumes, and upload to Facebook and Instagram to get votes. Person with the most votes wins a prize. Age restriction 13 years and over. The internationally renowned singer-songwriter will take to the stage at Dubai Opera tonight, bringing his folk-rock sound that has earned him the title ‘The new Bob Dylan’. Tickets start at Dh195 and concert begins at 8pm. Take racing off the streets and into a safe, controlled environment at the Dubai Autodrome Circuit. Tonight’s event will see participants race against another vehicle from a rolling start of 60kph – heading onto the main straight, pitting yourself against another driver. Roll Racing is open to both cars and SUVs. Entry fee is Dh20; racing begins at 8pm. Food trucks on site. Participants are required to register online. Catch the performance of Dear Goodbye, a micro-production with eight short stories about closing chapters and finishing cycles. The locally-bred dance-theatre company, Avega Dance Creations, sources experiences from the lives of the dancers and uses the stage to write dance stories about self-discovery through loss of self, identity, home, ego and so forth. Doors open at 7.30pm for an 8pm start at The Junction Theatre, Alserkal Avenue. Tickets priced at Dh75. Every Thursday night, Reform Social & Grill hosts a BBQ quiz brunch with games set to test your musical know-how followed by live music by DJ Aylissa. Well-earned winners will be rewarded with complimentary food or beverage for the whole month. Doors open at 8pm, quiz starts at 9pm at The Lakes Club. DJ Adam J will be working the deck and taking the room on a trip back in time with old school bangers all the way from the east to the west coast. Break it down with Dr. Dre, drink Snoop Dogg under the table, raise the roof with Biggie, toast and say a little prayer for Tupac. Tribeca is challenging guests to dress for the occasion so dig out those gold grillz, oversized tees and dust off that snapback. The Tribeca team will be decked out in streetwear too! Today is the last day to catch the screening of At Eternity’s Gate, starring Willem Dafoe, at Cinema Akil, Alserkal Avenue at 7pm. The film is a biopic of Vincent van Gogh’s final year in Arles, France. Catch some top designers, including Amato and Ritu Kumar showcasing their latest bridal wear at the exhibition at Dubai World Trade Centre, which runs until February 9 from 3.30pm until 10.30pm. Tickets from Dh25. BurJuman recreates the romantic tradition of Paris’ Love Lock Bridge with its own twist. Pen a note to your love on the back of a lock, fasten it on the frame and take the key as a keepsake of your love. Until February 14, from 4pm to 10pm at the main atrium. Kick-off the weekend by embracing Middle Eastern charm at the Arabian Delights themed evening taking place every Thursday from 7pm to midnight at the Mercure's Day & Night Restaurant. The evening comes alive with a performance from a talented belly dancer and continues the cultural entertainment with soulful Oud music. In addition to the live performances, there is an endless buffet, inclusive of homemade Hummus, delectable lamb with vine leaf Mahashi, delicious Batata Harra, tender Chicken Tagine and much more that will tantalise taste buds all-around. Attend this two-day career expo starting today where students and parents can familiarise themselves with high-end educational brands. and interact directly with professionals, educationalists and motivational speakers to help students achieve career goals. Today, catch Google Boy Kautilya Pandit with his 150 point IQ (same as Albert Einstein) speaking today at 12.30pm and Indian author Chetan Bhagat speaking tomorrow at 7pm at Sharjah Chamber of Commerce and Industry. Free to attend. Full schedule online. The sixth edition of the annual Sharjah World Music Festival (SWMF 2019) is currently underway. Tonight, head to Al Majaz Waterfront to catch Korean modern muusic band Coreyah perform live at 9pm. Earlier, to support the local music scene, Furat Qaddouri Music Center is presenting the Stars Talent Competition at 7pm. Free to attend. Visitors of the Dubai Parks and Resorts can enjoy a number of traditional Chinese New Year activities at Riverland, Motiongate and Legoland. Riverland Dubai will host roaming parades and traditional themed activities, including a daily festive market. Chinese street entertainment will also be performed every day. Activities and market are from 2pm to 10pm daily. Today is the last day. Entry to Riverland Dubai is free. Tickets to other attractions start at Dh99 for UAE residents.